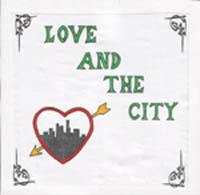 The Fabulous Nobody's debut single, Love and the City, was played an awful lot round our house. It's hard to say quite what it was about the record that made it so wonderful. It could've been the bakelite radio sound, a mixture of sedate jazz, AM transmission and valve technology; it could've been the charm of Laurence Dillon's heartfelt lyrical devotion to the metropolis; or it could have been the way that every time it played I could see Fred Astaire leaning nonchalantly on a lamp post, smoking a casual fag and waiting for the whistle solo. The music could've come straight out of a post-war remake of a 1930s stage show and as such is not only retro, but so far back in time by pop music's measure that it makes bands like Yes and Genesis look like newly-hatched spring chickens. As if in sympathy with the times his record evokes, Laurence was initially keen to stick to paper-based correspondence and this interview was carried out by letter. He's consented to talk to me on the phone since and turns out to be Scottish - a fact that is not remotely apparent from his singing. It also turns out that Kitchen records, the label that released the single, is his responsibility as well, and that he felt-tipped all 300 sleeves. A good idea he now regrets..
Are you one of those people I see on the telly occasionally - stuck in a 1940s time-warp with an air-raid siren in the "parlour"? With Art Deco furniture and fittings? No, I'm afraid not. I even have a video and CD player these days. Why record in that style then? Because good music is just good music irrespective of where or when it comes from. Just because a film in black and white doesnt mean that it can't be a great film, and some very good books were written more than five minutes ago. Whilst enjoying a lot of current music I also think that people such as Duke Ellington made great music too, that the Gershwins or Rodgers and Hart wrote some great songs. When the credits roll on Birds of a Feather on TV a song plays "What'll I do when you're gone.." Most viewers would be surprised to know that a grief-stricken Irving Berlin wrote this song as his first wife was dying of typhoid over 85 years ago. How do you create that "bakelite radio" sound? Technical ineptitude mostly. Keeping things simple is a good policy when you're not entirely sure of what you're doing. Some people say that rock'n'roll was invented at the Sun Studios in Memphis and I like the sound that Sam Phillips got using what we'd nowadays consider primitive equipment when recording Elvis, Jerry Lee Lewis, Carl Perkins etc. Is The Fabulous Nobody just you? In the end it turned out that I went it alone though who knows in the future? I found that my ideas were so much at variance with other people's. Why do you have a love affair with cities? I suppose because cities are really about the people in them, a diverse heaving mass of humanity squashed together on a small spot of the Earth's surface with all our little comedies, romances and tragedies jumbled together in a potent mix. Whilst the city can be a place of loneliness amongst millions, it is also full of endless possibilities - anything might happen. I always like that line from the old American TV show: "There are eight million stories in the naked city, here is just one of them." Just different. Everything changes but then again some things never change. People do tend to look backwards through rose-tinted spectacles, the mythical good old days were never actually as they're fondly remembered as being. The line you quote from No Turning Back paraphrases a dimly remembered quotation. The song is a cautionary tale about returning somewhere with false hopes or expectations based on happy memories and the resultant disappointment when it's realised that everything and everyone has moved on, including yourself. What about today's culture? Do you find it distasteful or disappointing? I think generally that there is greater personal freedom and social tolerance than just about any time before, though it may be hard to believe sometimes. I do think our culture encourages selfishness and we are definitely a materialistic bunch of consumers. Up to a point this is entirely okay but I can't agree with the 'Greed is Good' philosophy that seems to be in operation sometimes. The insidious power of the tabloids and television to skew perception and whip up hysteria or prejudice is a source of despair as it the clout wielded by multinational corporate czars. But then again, fifty years ago they had Hitler and Stalin to contend with so maybe things aren't so bad. In the end though, people can choose how they want to live their lives but increasingly I think that people are alienated and degraded by the pressures our frantic culture creates. What else can we expect from The Fabulous Nobody in the future? Lots more songs. There's plenty already recorded. Probably another 7" record and maybe another LP later in the year, if you can stomach the prospect! Did you found Kitchen Records to release the first 7"? Yes I suppose so really, but now the bit's between my teeth I'm looking to do records for other people. As long as it's fun and can operate at a sustainable loss I'll keep it going now it's off the ground. Next is planned a record by pop geniuses Clean Boy*Messy Girl, a japanese duo from New York. I must say they don't seem to be in any major hurry however. Bury superstarlets Sleazekitten will be next and other stuff is at the vague and muddled stage at this time. The label shut a few people up. When I first floated the idea to people I knew, the reaction was either mocking laughter or a disinterested "that's nice." So there was the odd raised eyebrow when the first single lurched uncertainly into the world. Is there a label philosophy? Oh yes. Homemade musical recipes that stick to your ribs! None of that tasteless lite processed pop that's through you before you know it. Life's too short to diet and if music really is the food of love then tuck right in! Erm, yes I think that just about covers it. And that's fair enough. You can get in touch with Kitchen Records and The Fabulous Nobody at 117 Church St, Little Lever, Bolton, BL3 1BW. The Fabulous Nobody's Love and the City 7" costs £2 (cheques to L.Dillon.) Laurence was also interviewed here, for the Where Did It All Go Wrong? feature.